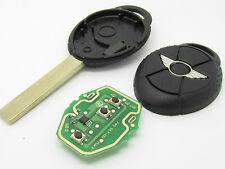 Código interno: 893139. Referencia : 3449103. Wir können es überprüfen. Nous pouvons le vérifier. Referencia : 61359299332, Observaciones: con star / stop. Vendemos vehículos preseleccionados de nuestra flota asociada. Nós podemos verificar isso. Wir können es überprüfen. 4x Zündkerze Stück - BMW 12 12 0 038 349. Zündkerze - BMW 12 12 0 038 349. Getriebe / Motor. Höchste Sicherheit durch Originalteile. Hohe Verfügbarkeit ab Lager. Wir beraten Sie gerne individuell zu Ihrem Fahrzeug! Juego de cables de encendido bobina de encendido ignición módulo COOPER MINI MINI (R50, R53). MINI MINI (R50, R53) Cooper. - Modell/Typ MINI (R50, R53) COOPER. Bobina de ignición de módulo de encendido. This is a set of 4 Accuspark AC7C Performance Spark Plugs. AC7C Cold heat range. AC7C are designed with a shorter tip and allow the heat to move away quicker. plugs are copper core for a better spark. Astra H 3dr Black 2007 1.6. MINI COOPER R50 1.6 16V 5 SPEED 3 DOOR 2002. 307cc 2.0 16v 135bhp 2003. Astra 1.7 dti silver 2002. Paint code: PURE SILVER. GLASS AND BODY PANELS. Alloy wheels and tyres. we have full testing facilities and send them out fully tested for flat spots and punctures. MINI MINI (R56) Cooper S 128kW dal 10-2006 al 01-2011 [Anno da[=>]11/2006 -- Anno fino a[=>]07/2010]. Informazioni sul Sistema Accensione BOSCH. MINI[=>]12120034098. MINI[=>]12120035531. PEUGEOT[=>]5960L5. Código interno para información: 139027. Nós podemos verificar isso. Wir können es überprüfen. 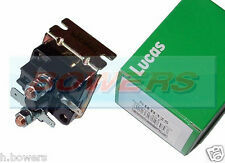 Distributor service kit for Lucas 23D4 Distributors with a. Side entry cap Free Spare points and condenser. 1 Red Rotor. 1 X Single Screw Points Free set. Mini 850 1964-1969. Mini 1000 1968-1969. 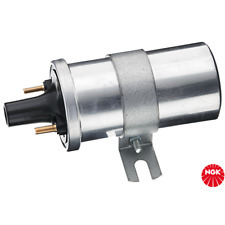 AccuSpark™. 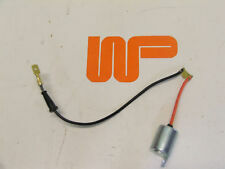 1 Set 8mm AccuSpark HT leads. With original style Lucas 25D Distributor. 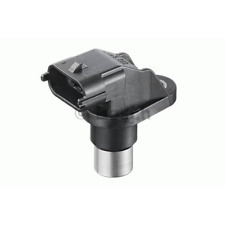 1 Distributor cap for Lucas 25d. These LUCAS STYLE RED ROTOR ARMS will not let you down. Still more importantly, the rivet which holds the brass inlay into the moulding is slightly longer than the original, bringing it too close to the spring clip on the underside. Engine Components. We just want you and your car to be happy! You'll have the part ASAP. 12 months warranty on all orders. We will always attempt to rectify the issue as fast as possible! Eg, Vetech, Erst Klassig, Franzen, NK, etc. With original style Lucas 25D Distributor. 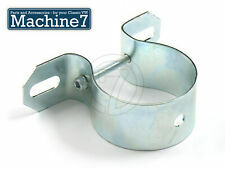 1 Distributor cap for Lucas 25d. ( cars upto 1974 were fitted with DM2 and 25D distributors ). 1 Set 8mm AccuSpark HT leads. These LUCAS STYLE RED ROTOR ARMS will not let you down. Engine Components. 12 months warranty on all orders. Eg, Vetech, Erst Klassig, Franzen, NK, etc. We will always attempt to rectify the issue as fast as possible! With this in mind, we will indicate what type of product you are looking at within the following guidelines. 1 juego para AccuSpark triple tapones de tierra AC7C, Campeón = N12YC. 1 En los cables HT AccuSpark 8mm. Resultado - no hay chispas en las bujías. ROJO ROTOR Desarrollado y diseñado por Médico Distribuidor. 1 set for AccuSpark triple ground plugs AC9C, Champion = N9YC. Ignition service kit for all Classic Mini Models fitted with a 45D or 59D Lucas Distributor. 1 45D Distributor cap. 1 Set 8mm AccuSpark HT leads. 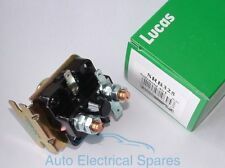 Distributor service kit for all Mini models fitted with Lucas 45D4 Distributors. Free Spare points and condenser. 1 Red Rotor. 1 X Points Free set. 1 Top entry cap.